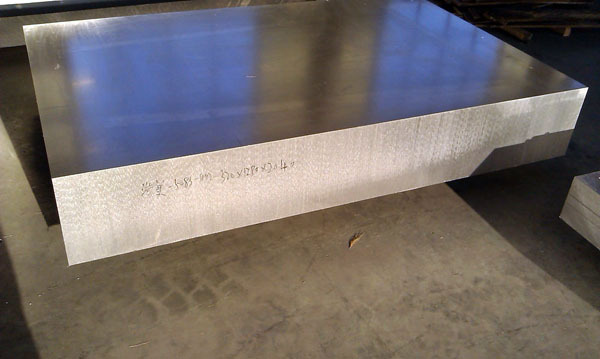 If the extend market demands of 5083 aluminum plate is the foundation of 5083 aluminum sheets becoming the most promising aluminum sheets, then it is the advantageous performances of 5083 aluminum sheets that makes 5083 aluminum sheets apply to so many fields. The good corrosion resistance and weld-ability and cold workability and its medium strength are closely related to its widely used fields. All of this makes 5083 aluminum sheets warmed welcome by insiders. Just because of the advantageous performances of 5083 aluminum sheets, a lot of aluminum plate manufacturers are developing into this field. But the products of a lot of manufacturers cannot meet the market demands in that 5083 aluminum plate demand strictly in craft and process technology and only very big manufacturers like haomei aluminium can produce eligible 5083 aluminum plate which meet the international standard. In China, haomei aluminium is the most competitive aluminum manufacturer. 5083 aluminum sheet of Haomei Aluminium has been shipping to United States, Canada, Brazil, Chile, Mexico, Columbia, Argentina, Germany, UK, Italy, Spain, Bulgaria, Netherlands, Serbia, Ukraine, Saudi Arabia, UAE, Iran, Bangladesh, Tunisia, Algeria, Nigeria, South Africa, Ghana, India, Vietnam, Thailand, Korea, Singapore, Indonesia, Philippines, Australia, New Zealand, etd, more than 60 countries all over the world. and our products have been already sold abroad and won good praise from customers. haomei aluminium is equipped with advanced technology team, strict quality control team and service system, all these guarantee the product we made can live up to international standards. Rich experience also makes haomei aluminium have a good reputation in domestic. The company consists of two main production bases, one is located in Gongyi City and the other lies in the high and new technology industrial development zone in Zhengzhou City, Henan Province, with an area of 250,000 square meters. haomei aluminium has over 2600 employees, ten continuous casting production lines and more than 44 other large-scale processing equipments with an annual production of 650,000 tons. Except 5083 aluminum sheet, haomei aluminium can also produce other aluminum sheet, aluminum foil, as well as aluminum coil from 1000 series to 8000 series.